Genesis 3 is a chapter with the actions of several characters recorded, but Adam again and again receives special focus. He is the representative of the human race (cf. Rom 5:12-19), and the focus on him in Genesis 3 bears out this truth. There are at least 10 places where Adam receives special attention. (1) Adam ate the fruit after Eve (3:6), but only after his eating were their eyes opened (3:7). (2) The man hid himself, and his wife joined in the hiding (3:8). The English translations make it seem as if they both hid themselves, perhaps by agreeing together to hide, but the verb is singular. The sense, then, is something like, “The man hid himself, along with his wife…” The focus is on Adam’s action. (3) When the Lord walked in the garden after the couple disobeyed him, he called to Adam (3:9). The serpent deceived and Eve transgressed first, but Adam was the representative, the head of mankind. Thus God called for him. (4) The man received the longest of the judgments (3:17-19 in the judgments found in 3:14-19). (5) Though Eve tasted the forbidden fruit first, God cursed the ground because Adam listened to her voice and ate the fruit (3:17). (6) When God alluded to his previous command given in 2:16-17 about not eating from the tree of the knowledge of good and evil, he said to Adam, “I commanded you” (3:17). Eve should have obeyed the command as well, of course, but Adam heard it directly from God before the creation of woman. (7) The promise of physical death is couched in language referencing the man’s creation from the dust of the ground (3:19). Eve was made from Adam’s side, but she would not return there at death. Adam, our representative, was from the ground, so that is where we go at death. (8) After the judgments are administered in 3:14-19, the next verse reports Adam’s response. He named his wife “Eve” (3:20). (9) Though the eyes of the couple were opened after eating the forbidden fruit (3:7), God said, “Behold, the man has become like one of us in knowing good and evil” (3:22a). According to 3:7, Eve’s eyes were open as well, but the focus in 3:22a is on Adam. (10) In order that Adam could not also eat fruit from the tree of life, God sent him out of the garden to work the land outside it (3:22b-23). Of course Eve was exiled also, as indicated in 4:1 when she and Adam conceived and bore their first son. As her covenant head, his exile meant hers too. Do you see other places in Genesis 3 where Adam is highlighted? Now the question that must be answered is whether God means only a collective offspring of faithful descendants or whether Someone, a singular “seed,” is ultimately in view. In his excellent book Genesis 1-4: A Linguistic, Literary, and Theological Commentary (P&R, 2006), C. John Collins says, “…in Biblical Hebrew the key signal for a singular or collective offspring is the grammatical number of the pronouns that refer to the word: if the author had a specific offspring in view he would have used singular pronouns; and if he meant posterity in general, he would have used plural pronouns. In this text we have two singular pronouns that refer to the woman’s offspring” (p. 156). The Septuagint (LXX) also reads Genesis 3:15 this way. The Greek noun for seed is neuter, and the pronoun referring to it is masculine. Says Collins, “The mismatch in gender indicates a specific offspring” (p. 156 fn. 31). Now to the next question: should Genesis 3:15 be considered messianic? To that question Collins says, “We are within our rights to say that this text envisions an individual who will engage the serpent in combat and defeat him….We are further entitled to say that he will be a human (an offspring of the woman), but one with power extraordinary enough to win. The rest of Genesis will unfold the idea of this offspring and lay the foundation for the developed messianic teaching of the prophets” (p. 157). In summary: “Genesis fosters a messianic expectation, of which this verse is the headwaters” (p. 157). (1) Reading the Gospels Wisely: A Narrative and Theological Introduction, by Jonathan Pennington. Dr Pennington is a SBTS professor whose love for the Four Gospels is well known, and in this excellent book he shows how to read them well! This book is personal, academic, accessible, well-written, and engaging. I highly commend it! (2) From Typology to Doxology: Paul’s Use of Isaiah and Job in Romans 11:34-35, by Andrew Naselli. I’m fascinated by studies on how the New Testament uses the Old, and Andy Naselli is a steady and passionate guide on Paul’s use of Isaiah and Job in one of the most glorious passages of Scripture, the end of Romans 11. Naselli’s tight argumentation, good writing, and clear presentation make for an enjoyable and edifying read! 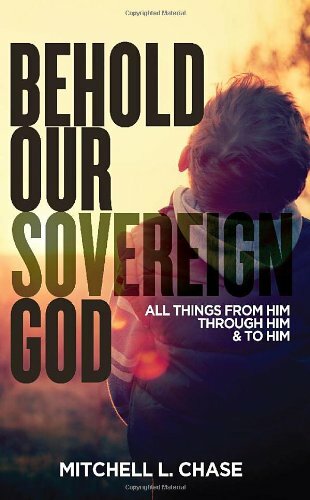 (3) Kingdom through Covenant: A Biblical-Theological Understanding of the Covenants, by Peter Gentry and Stephen Wellum. Two well-respected and beloved SBTS professors team up for this tour de force, arguing for what they call a “middle way” between Covenant Theology and Dispensationalism. Their sustained argument is that the biblical covenants form the backbone of the Bible’s story and must be understood in order to understand that story better. (4) Dominion and Dynasty: A Theology of the Hebrew Bible, by Stephen Dempster. This book has been in my reading queue for a few years and I’m so glad I finally got to it! Dempster’s understanding of how the Old Testament story unfolds is stimulating and insightful. It’s a book I’ve turned to again and again. I love books that help us put the Bible’s big story together, and Dempster is among the best helpers you’ll find. (5) A House for My Name: A Survey of the Old Testament, by Peter Leithart. Can an Old Testament survey be fun to read? Leithart proves it can! This book is interesting, beautifully written, and incredibly insightful. 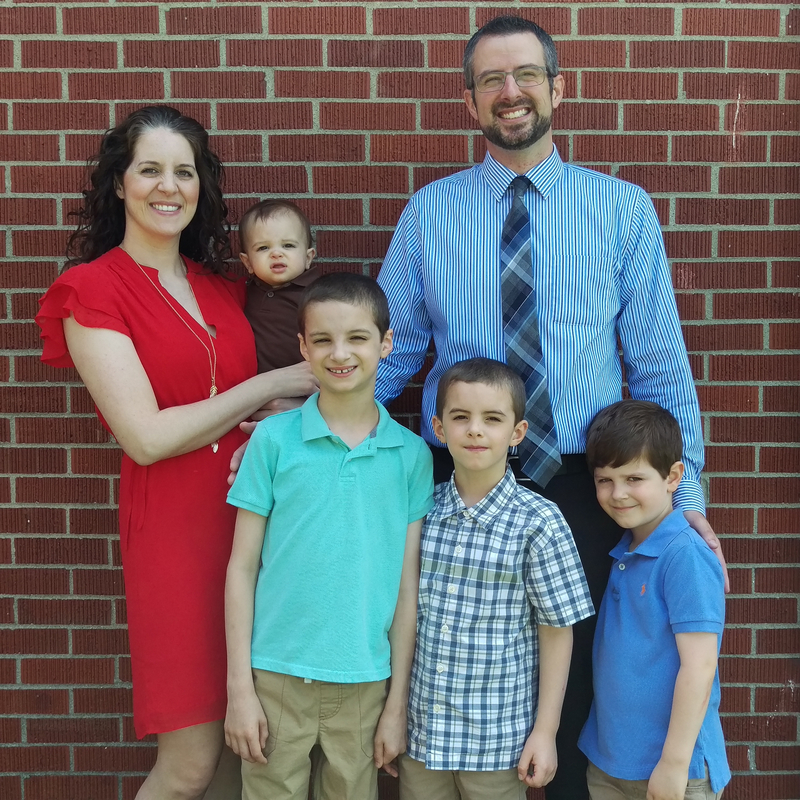 Leithart’s book has the capacity to be both a tool of daily devotion that supplements Bible reading and a classroom textbook that opens the eyes of the reader to riches yet to behold. Leithart is a master of language, and his story-telling skills are on full display as he takes you from Creation to the First Coming of Jesus. (6) Deep Exegesis: The Mystery of Reading Scripture, by Peter Leithart. That’s right, another Leithart book. I saw this book cited by others before I read it, and their excerpts intrigued me greatly. 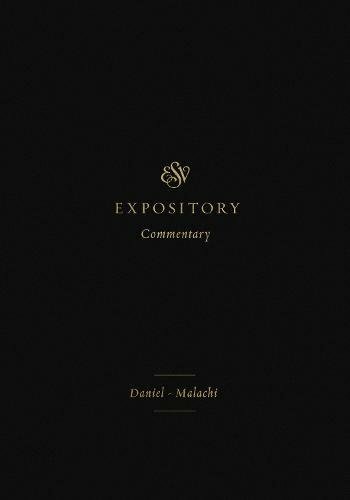 Deep Exegesis is the first full book I read by Leithart, and its hermeneutical focus is as illuminating as it is edifying. He makes bold claims and treads debated waters, but he doesn’t do so recklessly. Whether or not you end up agreeing with all his points, you’ll see (and more importantly, read) the Bible with greater depth and wonder! (7) Wordsmithy: Hot Tips for the Writing Life, by Douglas Wilson. Being a writer, I care about writing. And as an author, I’m interested in how other authors write. Now before you yawn at the notion of reading a book about writing, this is Doug Wilson we’re talking about. And he’s no bore. He’s written many books about all kinds of subjects, and to each one he brings his wit and grammatical switchblade. He not only can make a point, he knows how to make it memorable. Want to learn about writing from a contemporary master of the craft? Then devour you some Wordsmithy! (8) The King Jesus Gospel : The Original Good News Revisited, by Scot McKnight. 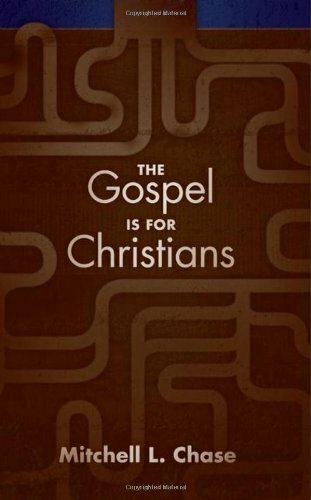 I love reading books about the gospel, though I don’t agree with all of McKnight’s points, and I feel he has some false dichotomies where there ought not be any. But: McKnight wants Christians to embrace the grand news that in Jesus, God has fulfilled the story of Old Testament Israel and launched a new creation kingdom. God has kept the promises to the patriarchs and brought to pass a saving reign through Messiah Jesus. The good news is not only that Jesus died and rose, he also ascended and sits at the Father’s right hand. This is King Jesus! (9) The Meaning of Marriage: Facing the Complexities of Commitment with the Wisdom of God, by Tim and Kathy Keller. There are many great marriage books on the market, and I’ve benefited from many of them over the years, but this is the first one I’d recommend over all others. My wife Stacie and I read this aloud together, and its chapters were moving, convicting, eye-opening, and rooted in the text of Scripture. Keller’s book will correct misunderstandings, introduce important concepts, and apply the truth of the gospel to dozens of real-life scenarios. The Kellers love marriage, and they want you to love it too. They especially want you to see how the New Covenant matters for the marriage covenant. (10) Money, Greed, and God: Why Capitalism Is the Solution and Not the Problem, by Jay Richards. I never imagined a book on economics and capitalism could be so enjoyable and so clear, but this book is both. Dispelling one myth about capitalism after another, Richards makes the case that capitalism is reasonable and, most importantly, fits snugly within a Christian worldview. I couldn’t put this book down. Richards pulls no punches and is transparent with the cards he’s holding. Maybe he won’t convince you on every point, but he will make you think. Well, those are the ten books I enjoyed the most this year. Do you agree with any of my choices? What were some of your favorites you read and would heartily commend? Darkness trembled at the Light. Jesus is a risen King. Would lay his own life down. Would in his own blood drown. Shall show his true renown. Why Is Satan a Talking Serpent in Genesis 3? (1) I believe Genesis 3 is a true historical account about real conversations that took place between real characters in a real place. I don’t think the account is mythical or metaphorical for some unapparent meaning. (2) The serpent is clearly identified as Satan in places like Rev 12:9 and 20:2. (3) Serpents, like the rest of non-human creatures, don’t possess verbal skills of speech communication. (4) In passages like Job 1 and Zechariah 3, Satan apparently remains in his angelic form, so there’s no reason to think a serpentine manifestation is necessary for him to do his serpentine work. Now to the question at hand: why do we see a talking serpent in Genesis 3? The wording of Genesis 3:1 starts us in the right direction: “Now the serpent was more crafty than any other beast of the field that the LORD God had made.” Beasts, according to 1:26 and 1:28, were to be ruled by God’s image-bearers. God did not make animals to rule and subdue the earth; he made man for that. Man would exercise dominion over the beasts, in particular “every creeping thing that creeps on the earth” (1:26). The serpent, like all other creatures, was under the dominion of Adam and Eve. What you see happening in Genesis 3 is the subversion of God’s created order. The serpent exercises dominion over the woman with his deceptive words. This is a reversal of God’s design, and Satan knows it. He wants to turn the whole thing upside down. Consider the bigger picture of what’s happening. God commanded Adam to not eat from the tree of the knowledge of good and evil (Gen 2:16-17), and Adam apparently conveyed that command to Eve who referenced it in her conversation with the serpent (3:2-3). So Adam and Eve, God’s image-bearers, should’ve listened to their Creator, but they didn’t. Adam shouldn’t have listened to the voice of his deceived wife, but he did (3:17). Adam and Eve should’ve subdued the crafty serpent, but they didn’t. Genesis 3 is a story of subversion at every level: a creature prevails over the image-bearers who fail in their responsibilities both to one another and to God. If Satan deceived Eve while in angelic form, that appearance may’ve still been effective, for interaction with a heavenly being might lower defenses. Rather than only inserting the knife, Satan as a serpent rules over God’s rulers and sets the snare for their failure and fall. The fact that Eve believed the lies of a serpent meant the knife went in deep and with a painful twist. Probably, then, Satan comes to Eve as a serpent in order to subvert God’s design at every level. The image-bearers defy their Creator as a creature exercises dominion over them. What is the relationship between Satan and the serpent? This is not an easy question, but I see three possibilities. First, did Satan simply shape-shift into the serpent and later return to his angelic form? There’s no precedent for angels doing this sort of thing in Scripture, so I don’t consider this the probable explanation. Second, did Satan somehow independently animate the serpent to speak, sort of like a ventriloquist who takes a dummy and makes it do what it cannot innately do? Maybe. Scripture records one other talking animal, Balaam’s donkey, but that animal speaks because of God’s enablement (Num 22:28). Perhaps Satan could use his own power to accomplish such an act. Third, did Satan possess the creature? I find this explanation most compelling. According to the Bible, demons can possess people, and even Satan did so with the example of Judas. But in Mark 5:1-13, Jesus encounters a demon-possessed man whose demons (known collectively there by the name “Legion”) beg to go into a herd of pigs. “Send us to the pigs; let us enter them,” they pleaded with Jesus (5:12). Jesus permitted this animal possession, so the demons possessed the herd and rushed down into the sea (5:13). So what can we say about the relationship between Satan and the serpent? Animals can be supernaturally enabled to talk (e.g. the serpent in Gen 3 and Balaam’s donkey in Num 22), demons can talk through the one possessed (e.g. the Legion who speak through the man in Mark 5), and they can even possess animals (e.g. the herd in Mark 5). Using later Scripture to inform our reading of Genesis 3, then, I think the best explanation of the talking serpent is that it is a creature possessed by Satan himself. I welcome any interaction on the above points. Do you find my explanation convincing, or is there a different explanation you believe is more reasonable?